The Central Queensland property “Kensleigh” has been sold under the hammer for $3.4m when auctioned in Rockhampton on the 14th September 2017. The 1,080 hectare property was owned by Barry & Claire Hoare. 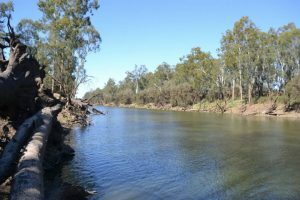 “Kenslie” is mostly brigalow softwood scrub country running to sandy river loams along the Dawson River of which the property enjoys a 3 km frontage. Improvements to the property include the 3 bedroom homestead, 2 sheds, stables and cattle yards. The price equates to $3,148 ha – $1,274 per acre. Selling agents were Gary Bishop and John Crerar of Hourn & Bishop Moura.